“Christopher Burke and his crew of NASA astronauts are the first human beings to walk on the surface of Mars. Their return to Earth is supposed to be a momentous day. But a surprise waits for them that's beyond imagining: every man, woman, and child on Earth is gone. Vanished. It’s not a dream. It’s not a trick. It’s real. This is an excellent book. It caught my imagination on the first page and held me captive until the very last page. Usually I don’t read this type of book, but I totally loved it. When I first read the above description, I was intrigued and since I love anything to do with Space, I decided to read the book. The characters are very interesting and the storyline is very exciting and kept me on the edge of my seat. It seemed there was always something unexpected and exciting happening and I couldn’t help getting really involved in it. I so wanted to go to the last page to find out what was going on, but I’m so glad I didn’t. Up until the very end, I could never figure out what the outcome would be. I really don’t want to give away any of the plot, so I won’t say more but I highly recommend this book to anyone who loves mysteries and sci-fi books. As I said before, this is not my normal genre of book, but I totally loved it! In fact, I would love to see this book made into a movie. In my opinion, Robin Parrish is an excellent author. Thought I'd join in late for Memory Lane. 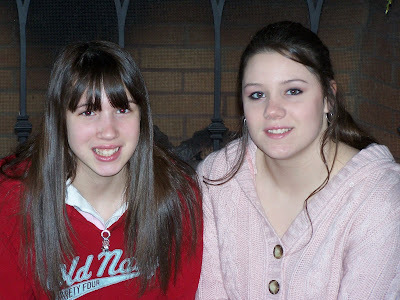 Since we're in Pigeon Forge right now, here's a photo of the girls in Pigeon Forge in December 2006. KLS is on her mission's trip and the rest of us are on a little holiday in Pigeon Forge. Here are a couple pics I took yesterday. Mostly we just relaxed in our room and on the balcony yesterday evening. We went to dinner at Texas Roadhouse, one of my favorite steak places. Then we made a Wal-mart run to get some things we didn't pack and then just came back and watched TV, read, played on the computer and sat on the balcony and watched the creek and the people playing in it. I've got to get in it before this trip is over. Anyway, these pics aren't in order or even that good, but as the Bible says, "such as I have give I thee." The creek out our back door. We have a nice little balcony to sit here and watch this. I went out early this morning to spend time reading and praying and no one in the campgrounds on the other side of the creek was up. All I could hear was the water and the birds. It was beautiful. Guess where I'll be every morning! And as I said before, this is where we had supper. Yummy! Sunday, July 19th - beautiful sky! Tuesday, July 21st - Our VBS sign lit up at night. Thursday, July 23rd - Kids dancing and singing at VBS! That's all for this week. I'll try to do better next week. KLS is leaving this afternoon for a week long missions trip in West Virginia and the rest of us are leaving tomorrow for a resting and fun trip to Tennessee! I'll definitely have my camera and hopefully I'll actually use it each day! It was awesome down at Crocodile Dock this week! A great time was had by all. "Skeeter" and KLS did a terrific job leading the kids in skits and song each night. "Crawfish Crafts" were very fun for everyone and the "Snack Shack" had awesome eats each night. The Bible Adventures were a fun time of learning for the kids and "Chadder's Theater" was always a highlight. Games were a lot of fun too. All in all VBS was a terrific time this week. Here are a few pictures. They've gone TEXT CRAZY at my house!!!!! We got the phones Wednesday and gave them to the girls after work. Now mind you they got them around 4:00-4:30pm Wednesday and then worked at Bible School from 6:00-8:30 and KJS had to turn hers off at 10:00pm and KLS's had to be off at 11:00pm and and they didn't go back on til around 9:30-10:00am Thursday morning. They had them all day Thursday and had them off again during Bible School and same off times. I checked online this morning and I want you to know during those hours those 2 girls had over 400 texts each!?! Can you believe it!!!! It's crazy!! But they're having fun and they're keeping up with their chores and following the rules. So I guess I have no complaints. 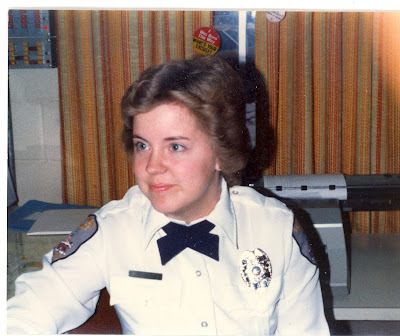 This is me at work in probably the late 70's to early 80's. I was probably 20-23 years old. Just a quick post. Bible School is going on and I don't have much time right now. Taking a quick break here at work to just say hello to all. 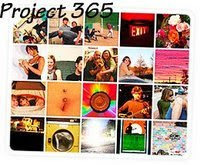 Click on the Project 365 and join Sara in the fun! Yes, once again, I missed a couple days. But I figure every one that I get is a good thing. And I promise if anyone else wants to join in, Sara does not get upset with us for missing a day here and there. And it's never too late to start. So come join the fun! Saturday, July 18th - Here are the flowers in front of my mom and dad's place. Friday, July 17th - Both of these pictures are from Kings Island. Above is KJS on the Carousel and below is KJS and her cousin STS on one of the rides. Tuesday, July 14th - Above is a picture of the Golden Lamb, Ohio's Oldest Inn and below is an old gas station that they've fixed up in our town as a tourist attraction. It's down by the train station. It's all part of the historical draw of our city. Monday, July 13th - Just a pretty night sky. Sunday, July 12th - This is the sign our in front of our church advertising our Bible School. One of the men in our church painted it. Isn't it awesome!! You'll probably be hearing more about Bible school this week as it starts tomorrow night. I won a copy of the book "Holy Roller" by Julie Lyons at Mocha With Linda ! I'm so excited and can't wait to read it. Check out Mocha With Linda. She does great book reviews and has quite a few give-aways too. Plus she just seems to be a really neat lady and I really like her blog! If you love to read, this is the blog for you! The mechanic said it was the battery. That's all! Woohoo!! Well, he had to replace a tie rod too (I've been hearing an odd noise for awhile). And he's doing and oil change and I get it back today & the cost isn't too bad!!! I must say, God is so awesome!! He took care of us again! See, rejoicing in he Lord, even on a Monday and even when the car isn't working is a good thing. No matter the circumstances the Lord is always there and is always working in our lives. So again, I must say. "This is the day the Lord has made, I will rejoice and be glad in it. Now my car is ready for our little trip. We leave 2 weeks from yesterday for a short trip to Tennessee! I can't wait! Only 8 more days to work and a week of Bible School!! Have a great day eveyone! Have a great day everyone! 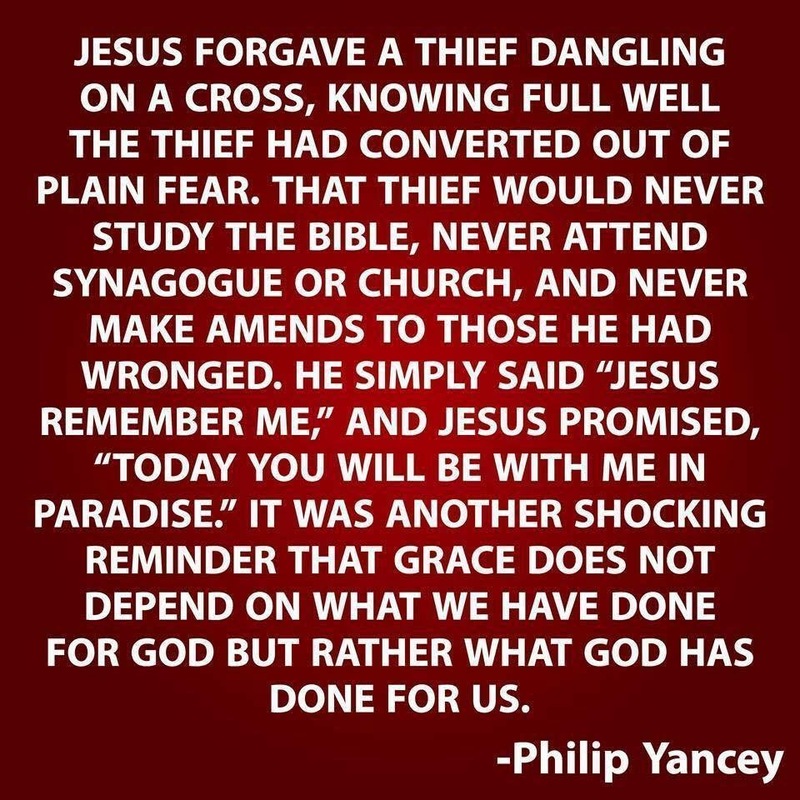 Remember, "This is the day the Lord has made. I will rejoice and be glad in it!" I told you earlier this week that we were attending Campmeeting Services this week. Here are a few pictures of the tabernacle where the services are held. As I said, I've been attending here for a week in the summer since I was probably about 7 or 8 years old. 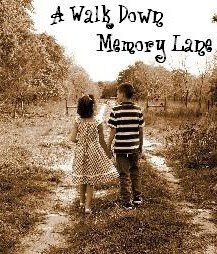 I've got lots of memories of this place. Services were great this week! There was even a bird's nest in the rafters. Hope you've had a great week and I hope you have a wonderful weekend. I'm off to go out to lunch with my family!! Click on the SkyWatch Button above to join others from all over the world who love to share pictures of their skies. You can just click their links and look at all their pictures or you can play along and post your own and link at SkyWatch so everyone can look at the skies in your area. Above are some whispy clouds from July 3rd and below are some cloudy skies over Lake Erie at Cedar Point Amusement Park. Cathy asked if I would write a “guest post” entry for her blog. The preacher in me wants to know if there is a time limit? One of the things we preachers tend to do is get caught up in our sermons, and we come across arrogant. We forget that we must proclaim truth, but we must do it in love. Some folks use truth to club people. But we are to speak the truth in love. To apply this to our everyday life, I wonder how many times our message to others – whether it be our children, to our co-workers, or even to the annoying teenager working the counter at our favorite fast-food haunt, has been missed simply because we—the messenger—have gotten “too big for our britches” as my parents used to say. And I’m not even necessarily talking about the Gospel message. How we speak to others oftentimes will dictate how they respond to what we say. Our tone of voice, our mannerisms, our choice of words, even the look on our face can turn folks off to what we say—no matter how true or how good or how difficult our message may be. Believe it or not, one of the clearest illustrations of this, I saw on one of the old Bill Cosby episodes that first aired in the 80’s. In one scene, one of the girls came home from college toting a boy, and during dinner, sort of sprang it on Dad and Mom that they were going to get married. The parents aren’t happy. Words ensued, and Mom and the daughter storm off, leaving Bill Cosby’s character alone at the dinner table with the boyfriend. The boyfriend meekly asks what went wrong. That’s kind of the way we are with some of our messages. We just “flop” it on a plate and shove it in peoples’ faces. 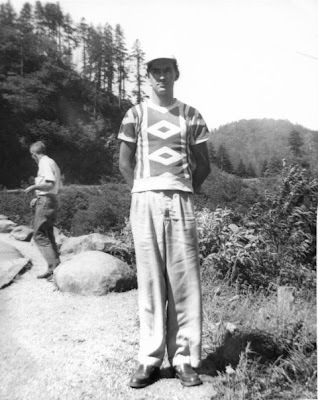 This is a picture of my dad in the Smokey Mountains. I believe it was probably taken in the early to mid 1950's (before I was born). Isn't he such a handsome man? He still is today too. He just turned 81 last month, but he sure doesn't look it or act it either. He's been helping my brother install carpet the past 2 days!!! !